We have over 60 different purebred standard varieties of baby chicks each hatch. It is never possible to estimate exactly how many of each there will be or to book specific breed orders for all of them in advance. Therefore, we offer this SPECIAL ASSORTED BARGAIN in order to use up all of the extras and odd lots. These are not culls or seconds, but all first grade chicks with the same safe arrival and livability guarantees as on all of our chicks. 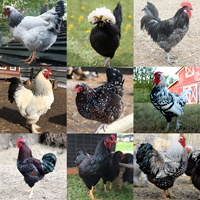 This may include the most different kinds of any assortment we offer: some rare or even rarest of rare breeds, some popular well known breeds, some heavy breeds, some light breeds. It will include straight run chicks. Here’s a great chance to get a lot of different kinds and at a bargain price. Assortments may contain additional chicks not listed. The special assorted bargain is st run chicks (meaning they are not sexed). 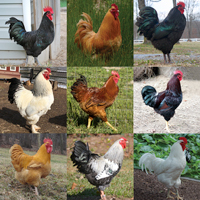 This package can include any of the breeds we hatch excluding bantams. 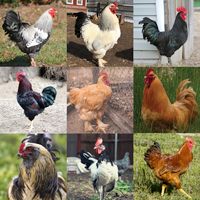 Some of the rare breeds may not do as well in colder climates. I would suggest the heavy assorted st run or our brown egg layer (females). They tend to be more hardy for cold climates. We offer 2 vaccinations before the chicks are shipped out. Show me pictures of your rare exotic chickens. Our Special Assorted Bargain is a Straight Run. This is a mix of males and females that are not sexed. They will start laying at 6-8 months depending on the time of year. Love assortments!.... but do you offer an assortment of cold hardy souls? I'm new to chicks, and don't want to stack the deck against my new babies by getting something that had a slim chance to begin with (because of the cold). I live in Alaska. We have the Heavy Assorted which is st run, or the Brown Egg Layers all females. The heavy breeds tend to me more hardy and do well in colder climates. Shipping depends on how many you choose to order and as to what state you are in. Do you put bantams with this bargain? The Special Assorted Bargain is standard breed chickens ....no bantam chicks. Straight run means "as hatched - unsexed". The chicks are not examined by our professional sexers to determine if they are males or females. This is my first time ordering chicks. I'm nervous I won't be able to take care of them the way they deserve. Is there a way to return them or to give them to someone else who can take care of them if it gets too overwhelming? Sorry there is not a return policy on the baby chicks. If you do feel overwhelmed you would need to find someone locally that could take them off your hands. You may order right after the first of the year if you would like. Hope to hear from you then! 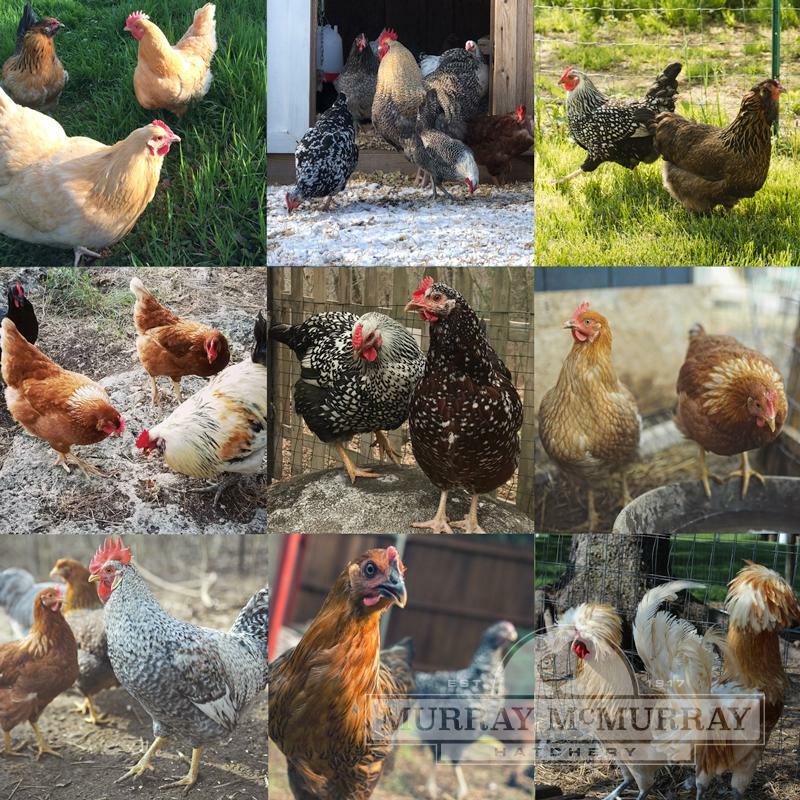 Straight Run Mixed Breeds Were Beautiful BirdsWe purchased a mixed variety of straight run chicks a few years ago. They were magnificent. Half were roosters. All lived and became a part of the family. 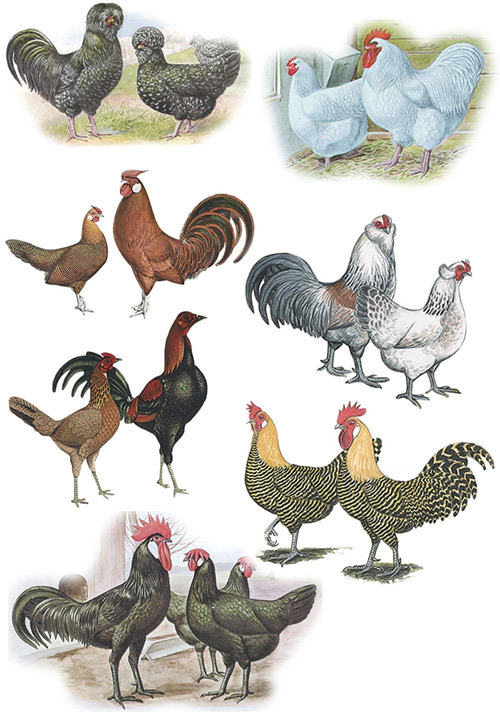 The Barred Rock and the Black Rooster were magnificently beautiful. They were so perfect they looked fake if they were standing still. Magnificent egg layers. The polish were amazing brooders and set on anything that wasn't picked up on day one. Just wonderful birds. Lots of Roostersgot 15 and 9 were roosters. good deal for meat but not for eggs.